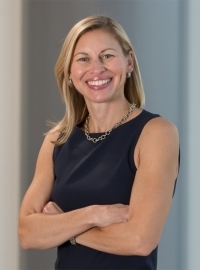 Lori Stachelski is the Chief Talent Officer at Abry Partners. She is responsible for all facets of talent management for Abry’s investment professionals, including investment team staffing. Before joining Abry in 2017, Ms. Stachelski spent a decade at Cambridge Associates in several key leadership roles - Head of Investment Operations, Co-COO of the Endowment and Foundation Practice, and Global Head of Talent Management. Earlier in her career, Ms. Stachelski worked in the Investment Banking Division of J.P. Morgan Securities Inc. Prior to joining the private sector, she served for eight years as Logistics Officer in the U. S. Marine Corps. In addition to her years in command positions, she served as the principal assistant to the Secretary of the Navy where she worked with senior leadership in the White House, Department of Defense, Congress and foreign countries, interfacing with the highest levels of national and international leadership in support of Operation Enduring Freedom. Ms. Stachelski holds a master’s degree in Public Policy with a concentration in International Trade and Finance from Harvard University’s Kennedy School of Government. She earned a Bachelor of Science degree from the United States Naval Academy. She and her husband live in the suburbs of Boston with their two boys.